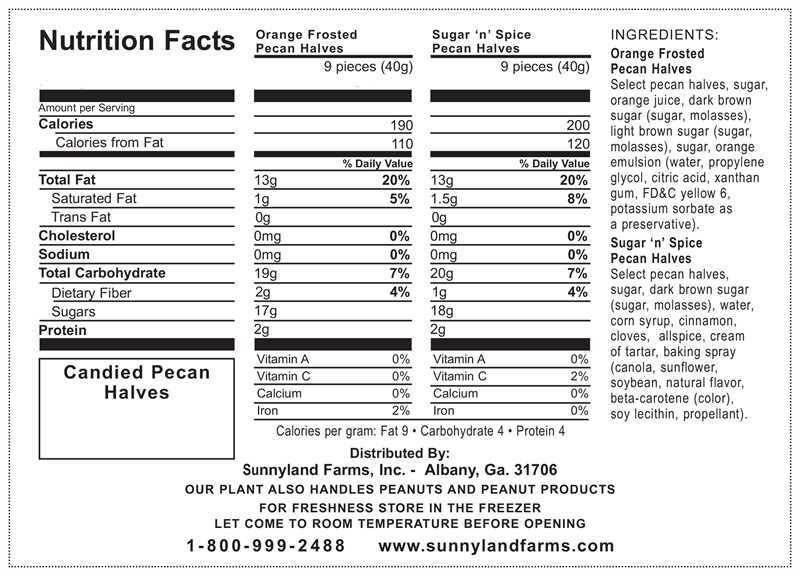 Each order of our Pecan Halves comes with two distinctly different recipes, half is made up of our Sugar'n'Spice while the other half is Orange Frosted. Both are 100% delicious! 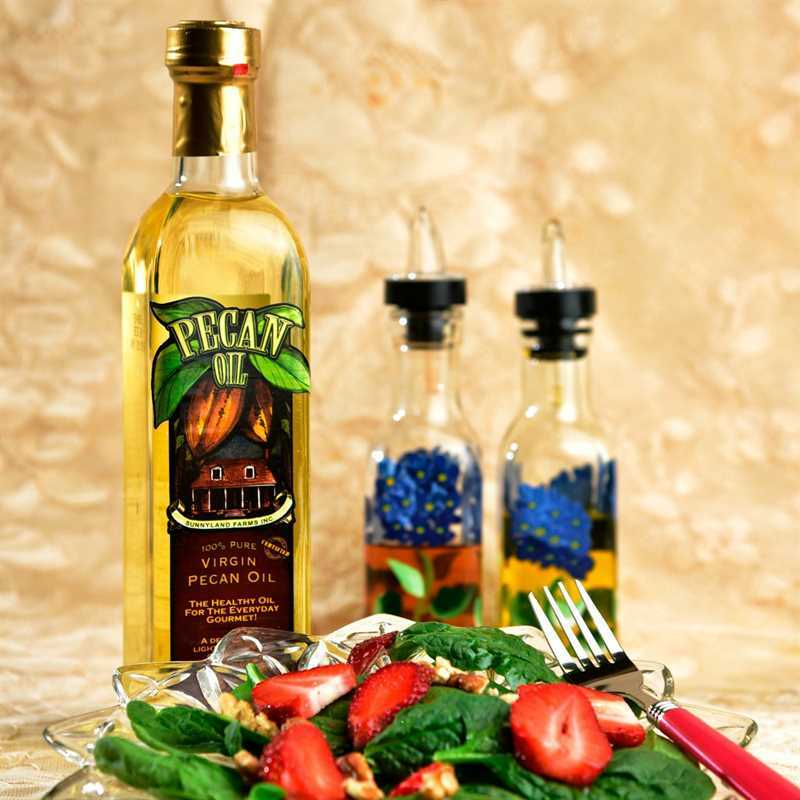 We use real sugar, the best spices, our own Georgia grown pecans and cook in small batches. Two distinctly different recipes, which one will be your favorite? 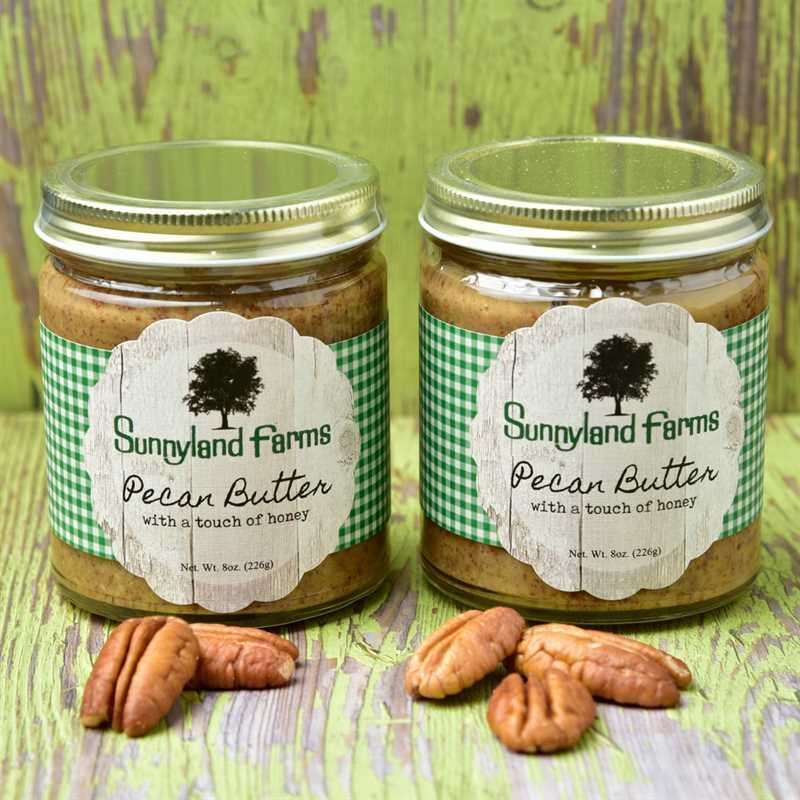 We make our candied pecans in small batches using real sugar, fine spices and our own Georgia grown pecans. Both glazed candied pecan halves, our orange frosted and our sugar ‘n’ spice, are longtime favorites. 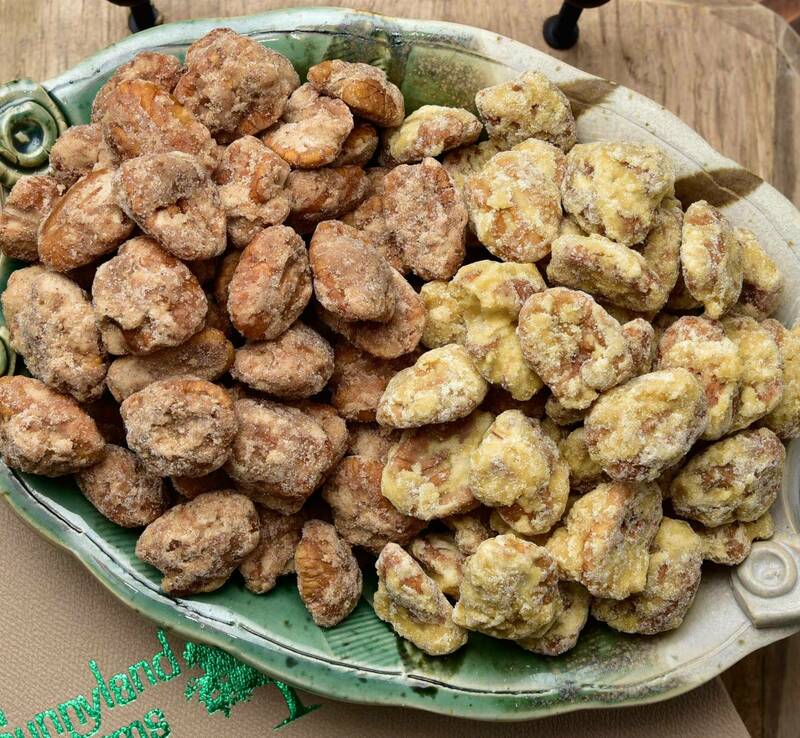 While both flavors of our candied pecans have become longtime favorites, some folks prefer one to the other. 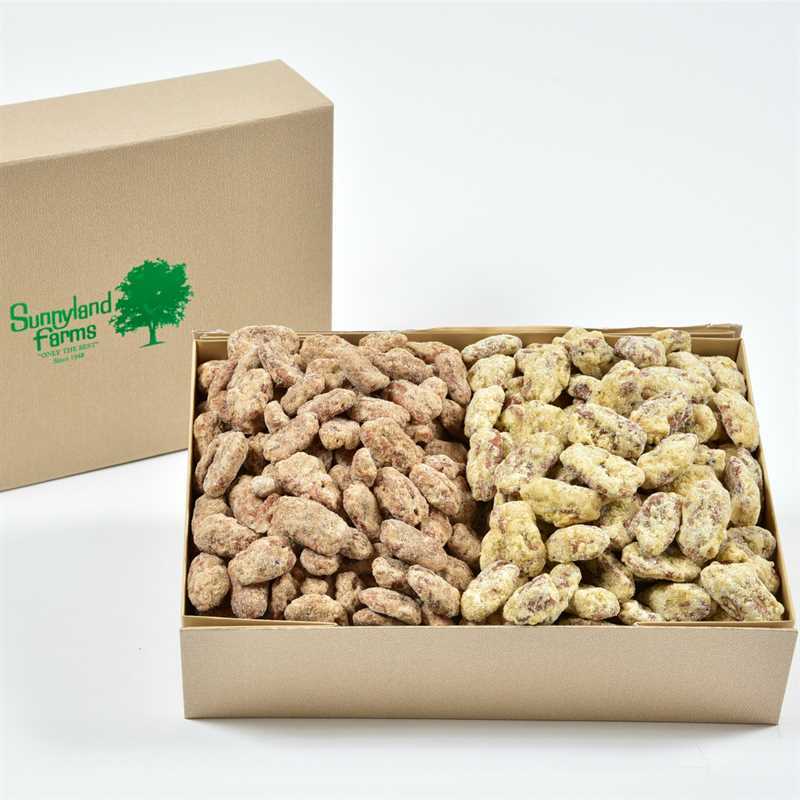 Each flavor is available, individually as Do It Yourself Bags. 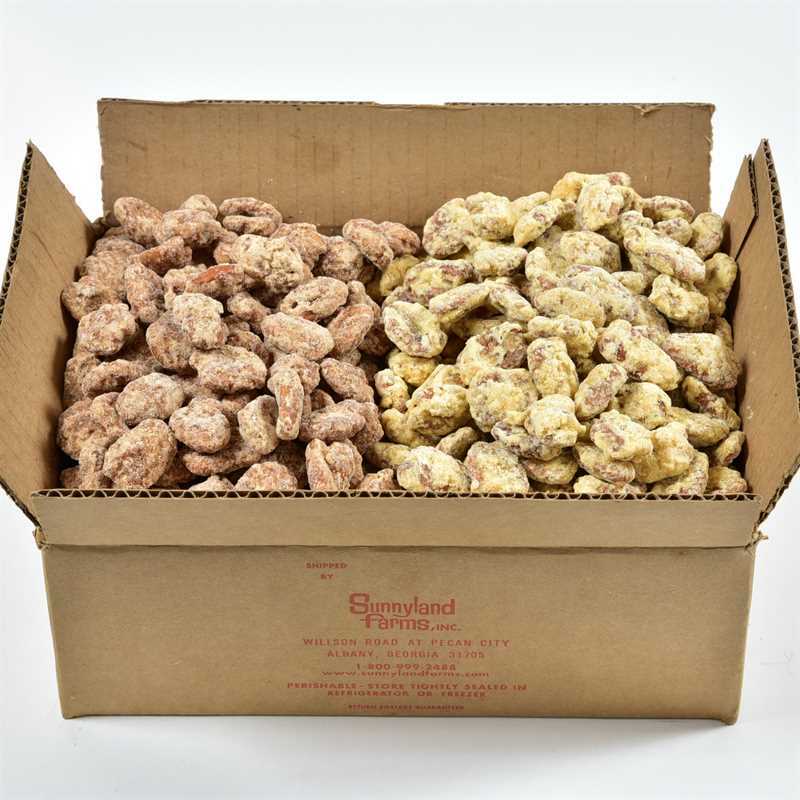 Our candied pecan halves are available in either a gift box or in a larger, home box. 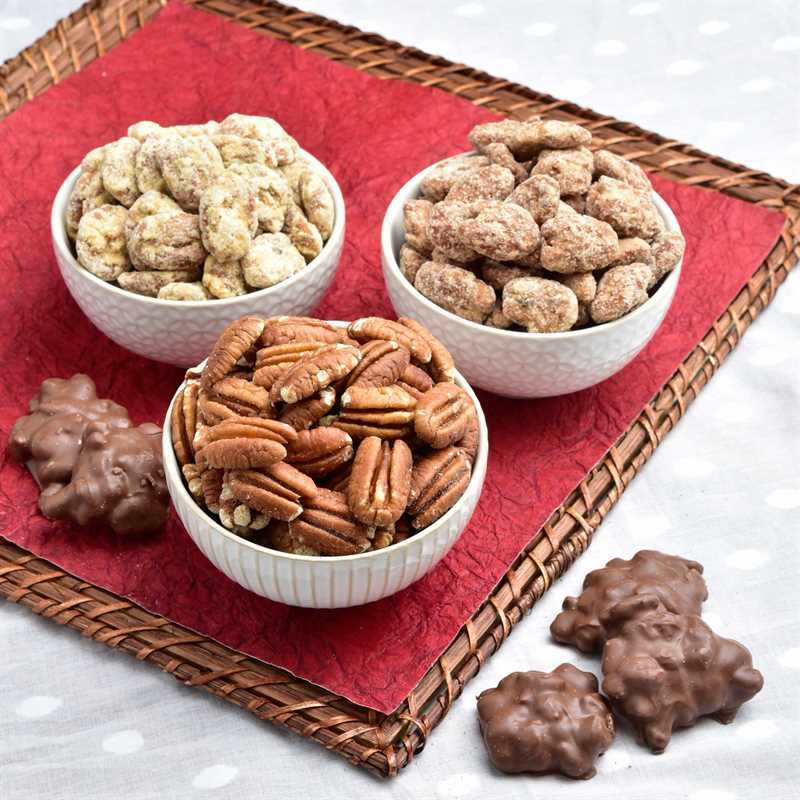 We have a wide variety of pecan shapes & textures, including pecan pieces, pecan meal, pecan log rolls and more!